C Class 2001-2011. CLK Class 2004-2009. E Class 2010-up. G Class 2007-2012. GLK Class 2010-2012. R Class 2006-2011. SLK Class 2005-2011. Retains balance and fade. Axxess AX-ADFD100. Axxess AX-ADBOX2 Interface. 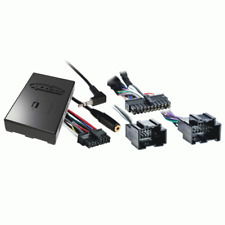 Auto Detect Interface for 2007-Up Ford Vehicles. All-in-One Interface for Replacing Factory Radios. 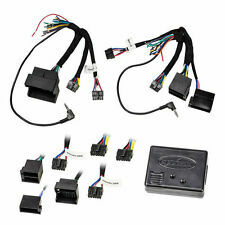 22-pin to Ford 24-pin harness (A). 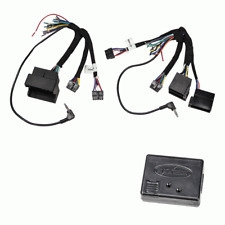 22-pin to Ford 24 and 26-pin harness (B). 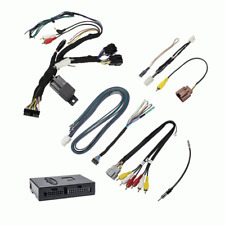 Interface Must Be Used In Conjunction With A Vehicle Harness. Retains Blind Spot Detection System in Chrysler/Dodge/Jeep (If Equipped). Retains Balance and Fade. Provides Accessory (12 Volt 10 Amp). Connect your music device to aux of FM modulator and listen on your radio Compatible with iPod, iPhone, and mp3 players. - Dash Kits. - Installation Harness. Under dash mounting bracket included or mount it to your dash.